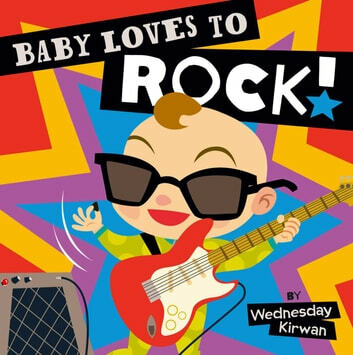 Rock out with Baby in this playful board book that showcases various animals and their favorite musical styles! But who loves to rock? Humorous text and colorful illustrations fill the jammin’ pages of Baby Loves to Rock! Rife with funny puns and rhymes about a variety of comical animals enjoying different genres of music, this board book is sure to delight music fans of all ages.